​by three-time Leinster (Dublin) Slam Poetry Champion Clara Rose Thornton. Consisting of Giovanni Agostini, of Italian and Venezuelan heritage and hailing from Caracas, Venezuela, on bass; and Enda Roche, of Irish heritage and hailing from County Kildare, on guitar; with Thornton's sensuously delivered, powerfully resonant, socially conscious lyricism. 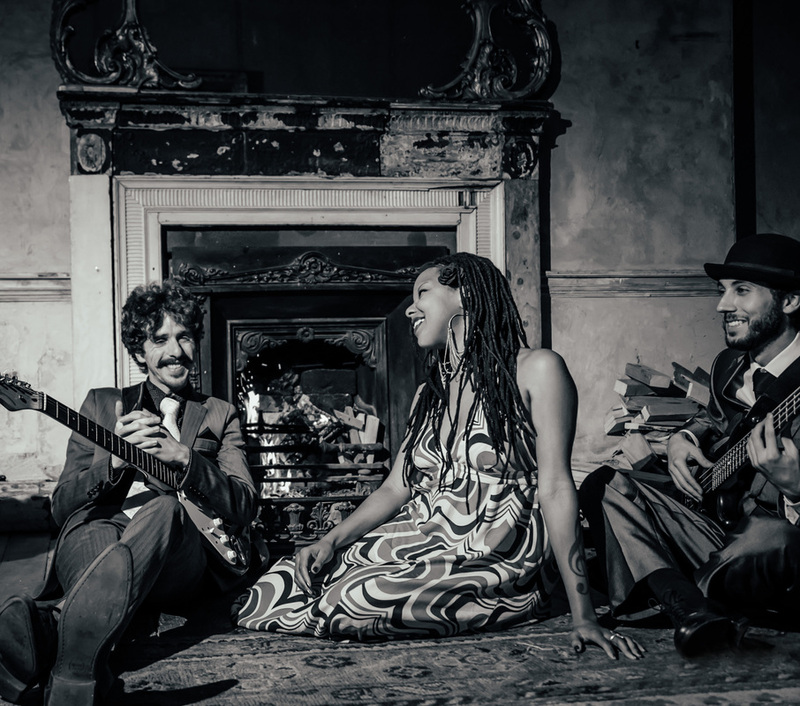 ​The Dublin-based trio perform original music, written and composed by themselves and New-York-based jazz percussionist Jacob Melchior, raised in Copenhagen, Denmark. 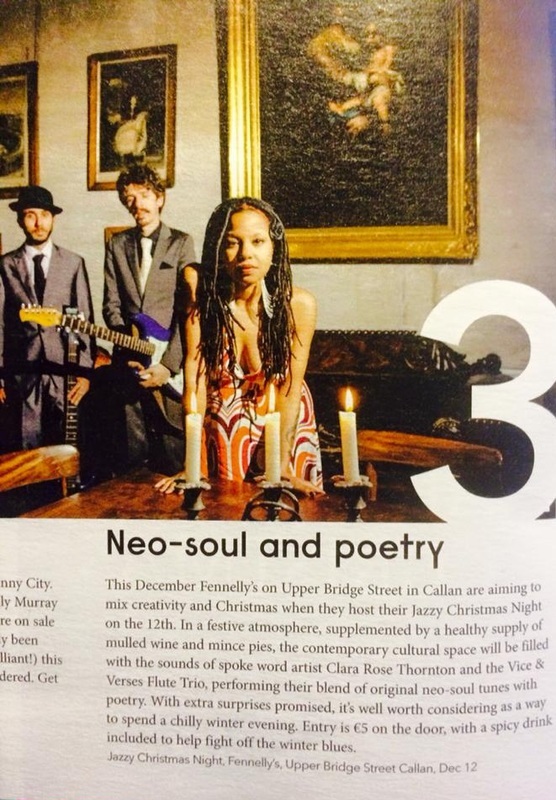 Vice & Verses host their own bimonthly night in Dublin, Vice & Verses: Neo-Soul Brigade, accompanied by rotating international guests. They perform throughout Ireland and Northern Ireland. Media images available with permission here.